: My mom was listening to him and ask me if I wanted to listen to it and I started to love him. : His songs:Hound Dog, Teddy Bear, and Jailhouse Rock. "My Message to Elvis": Can you play at my mom's birthday's and mine? : That's a tough one I like his songs:Hound Dog, Teddy Bear, and Jailhouse Rock. : At my house I asked my mom if Elvis was still alive and she said no. Thank you for your comments on our survey, and sharing your memories with us. Elvis was an amazing man! He was a shy country boy with ambition. Reaching his goal, Elvis changed our world with his untouchable talent. It was a very sad day, when we lost Elvis; I don`t think anyone will ever forget that feeling that stung us, the day of Elvis` passing. I know my world stood in disbelief, I cried for days. Elvis has had a huge effect on the world. 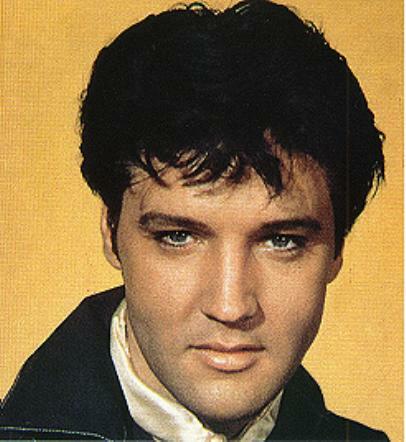 Your message to Elvis is lovely; I really hope you and your mom have a lovely birthday.